Before any home renovation project, it’s important to thoroughly research companies you are interested in working with. Then, set up consultations with your top companies. If this is your first patio project, it’s helpful to have a list of questions to ask prior to and during the consultation process. That’s why the Patio Enclosures® team has compiled the following list, which includes ten questions that are commonly asked by our customers. Although contractors often receive inquiries about the project timeline and cost of patio enclosures, homeowners should start at a more basic level by researching companies and asking for credentials. The information you receive from these basic questions will help you make an informed decision. Question 1: How long will an in-home consultation take? It differs for each company, however, at Patio Enclosures, we custom design and manufacture all of our sunroom products, so we typically have one of our design consultants meet with you for a minimum of 60-90 minutes (slightly more if your project is complex). This allows our sunroom expert ample time to discuss your project and develop a personalized plan complete with quote. Question 2: What can I expect during an in-home design consultation? Again, this varies from company to company. At Patio Enclosures, we take the time to listen to your vision for the space. Since everything we do is tailored to your home specifically, the options are endless. Having an idea of how you and other family members plan to use the room will help us make recommendations and develop the best plan for you. Our sunroom expert will also look at your space, take rough measurements; demonstrate actual product samples and share photos of similar projects we’ve recently completed. Finally, our goal is to leave you with a project estimate and payment plan options. 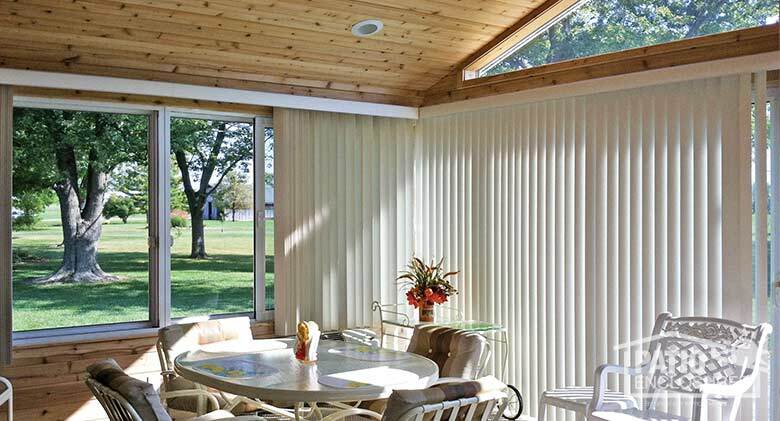 Our sunroom experts do not use high-pressure tactics, nor is there ever an obligation to buy. We know a sunroom or porch enclosure is a big investment for your home, and we want to give you all the information to make a great decision for you and your family. Question 3: Who needs to attend the consultation? In today’s day and age, getting everyone together for dinner is sometimes a challenge, let alone getting everyone together for a design consultation with a contractor. However, a custom sunroom or deck enclosure is essentially a room addition. There are many details to go over that impact the total cost of the project. 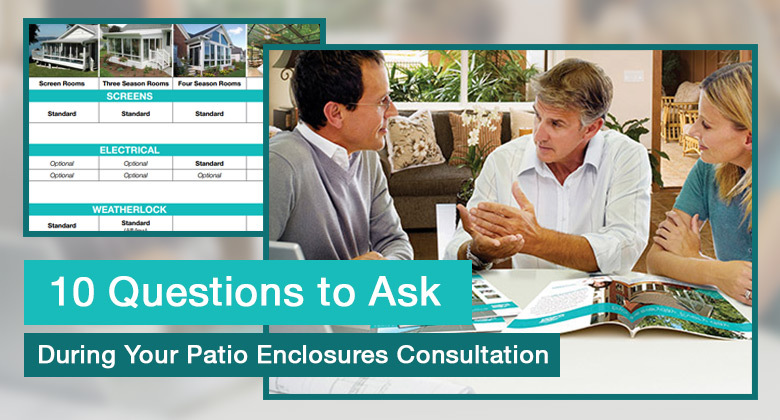 At Patio Enclosures, we encourage all parties who will use the room be involved in the consultation. That way everyone can ask questions and our sunroom expert can make recommendations for your custom project specifically. Question 4: How many years have you been in the industry? Although working with an experienced contractor doesn’t always guarantee quality work or professionalism, a contractor with a long history in the industry should have a well-versed background in quality construction. In addition to great problem-solving skills, an experienced contractor is more likely to have a larger portfolio to show you, along with a longer list of customers who’d be happy to speak with you about their patio enclosure experience. Question 5: Are you licensed in this state, and for how long? Every state has different certification requirements for contractors, so it’s imperative that you research the specific laws in your state. Similar to number one, this seems like a basic question, but people still forget to ask it once the consultation begins. If having a state certified contractor is necessary for you, be sure to ask this question early on in the conversation to avoid wasting any time. While your state may not require a contractor to be licensed, it’s important to consider this when adding a patio enclosure to your home. This is because it’s more difficult to hold an unlicensed contractor liable for unfinished or unsatisfactory work than a licensed one. For example, you can report a licensed contractor to the state they’re licensed in, whereas an unlicensed contractor can leave town and even leave you with an unfinished sunroom! You’ll want to make sure you choose a reputable company that provides the highest industry standards to its customers. Patio Enclosures offers a limited lifetime warranty on every one of our custom manufactured and professionally installed enclosures, which ensures your sunroom will last a lifetime. Question 6: Will you offer a guarantee on your work? If so, what is the guarantee? Be sure to ask your contractor for a guarantee against defective materials and workmanship problems. A reputable contractor should be able to guarantee their work, specify how long that guarantee stands and what the process is, if there is an issue. When you work with Patio Enclosures, you are working with highly trained and certified sunroom builders who are committed to giving you the sunroom of your dreams. Since we manufacture our own products, we offer a limited lifetime warranty on all manufactured parts and a two-year warranty covering labor to give you peace-of-mind protection for your investment. If there is ever an issue, you deal directly with us, the manufacturer – not a third party! Question 7: Will every employee working on my property carry workers’ compensation? It is imperative that anyone working on your sunroom is covered by workers’ compensation insurance, by the project’s contactor. If an accident occurs on your property with employees who are not covered, you could be held liable for medical bills. Just as license requirements differ state to state, so do workers’ compensation requirements, so be sure to adhere to the State-by-State laws from the National Federation of Independent Business (NFIB). Additionally, you can call your local or state government agencies to verify that any licenses provided during the consultation have not expired. At Patio Enclosures, you can rest assured that everyone working on your property is covered! Question 8: What does a standard contract include? Contracts vary from state to state, project to project and contractor to contractor. However, there are a few pretty common items your contract should include, like description of the work being done, a description of the materials needed, an approximate timeline, a total cost, a payment schedule and any exclusions that may apply. You may wonder why a timeline for your project could be approximate. There are many variables associated with your project, and the timeline is dependent on the work being done and your local building codes. If a building permit is required by your municipality, the permitting process can tend to slow things down. At Patio Enclosures, we do everything we can to help cut through red tape, but timelines are dependent upon how quickly the necessary permits can be obtained. Question 9: What is the payment schedule? Depending on the contractor you choose and the state you live in, payment schedules can vary. Most commonly, you’ll pay for your patio enclosure in installments based on key milestones of the project, which vary based on your state of residence. Before you sign your contract, you’ll want to ask about your contractor’s payment schedule and options, so there aren’t any questions after the fact. Patio Enclosures is committed to helping you achieve your home improvement goals and has partnered with GreenSky® Trade Credit to offer a variety of financing programs for your sunroom, screen room or porch enclosure project. Unlike traditional bank loans, GreenSky offers quick and easy paperless application, zero interest plans, credit limits up to $55,000, and more. Question 10: Have you completed any patio enclosure projects like mine in the past year? Asking this question will help you determine the company’s familiarity with your type of project and may lead the contractor to discuss how those past projects went. Once you have confirmed that the contractor has completed similar projects, you can better align your expectations for your specific sunroom type and the contractors approach to these projects. With this information, you can directly compare your top contractors’ responses to determine whose approach goes best with your vision for the renovation. Don’t forget to ask the contractor if they have photos of previous projects they would be willing to share with you, as well as a list of previous clients for reference. Patio Enclosures has completed hundreds of thousands of sunroom projects over the years. To see a sampling of our completed projects, visit our photo gallery, sunroom catalog and sunroom design tips blog! As you are listening to the answers to your questions, remember that it’s also important to note what a contractor isn’t including in their answer. In addition to asking the right questions, pay attention to your instincts and determine if any information is missing in comparison to your other consultations. 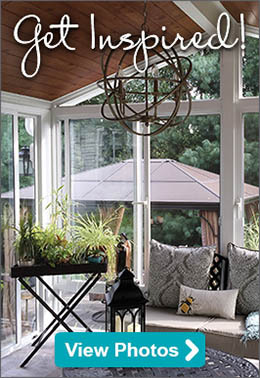 Adding a sunroom addition to your home can be overwhelming, but it doesn’t have to be. Use these tips to make the best choice for your home. Still have questions? Patio Enclosures is your expert for all things sunroom related. We design, manufacture, install and service three season rooms, screen rooms, four season rooms, porch enclosures, solariums and traditional sunrooms. Contact us today for more information or request your free design consultation online.